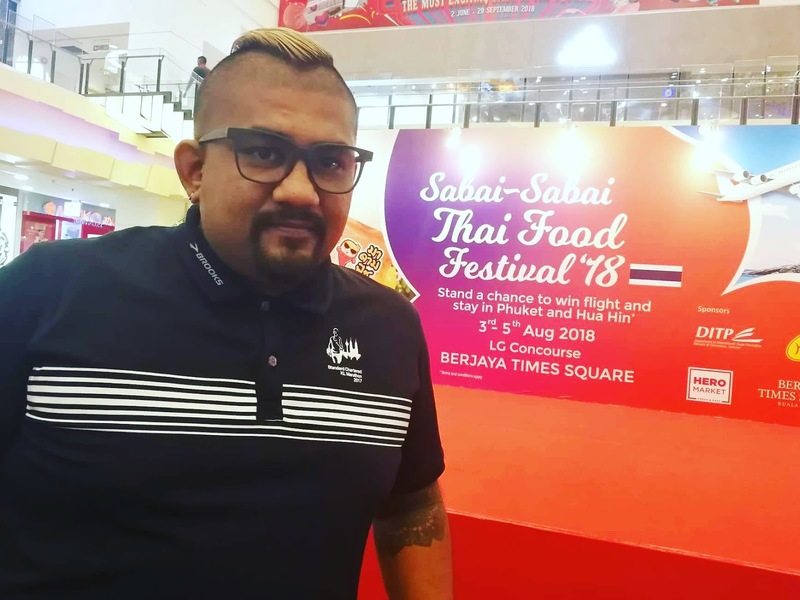 KUALA LUMPUR – Dive into the rich Thai culture, food and a plethora of offerings at the upcoming ‘Sabai Sabai Thai Food Festival 2018’. Jointly organized by the Department of International Trade Promotion, Ministry of Commerce of Thailand (DITP), HeroMarket and HPG Marketing (M) Sdn Bhd, the festival will take place at all 24 HERO Market outlets from 3 – 5 August. 2018. Sabai Sabai, which literally translates to being happy, relaxed or comfortable, perfectly embodies the Thai culture and lifestyle. The festival takes on this theme and features a wide range of Thai food products and snacks brought to Malaysia in selected Hero Market stores. There will also be special-priced offers for selected Thai products. “We chose HeroMarket as a partner for this joint promotion because of their enthusiasm and constant support. Additionally, we share the same vision for Malaysian consumers to continue to have more choices of good quality products that Thailand,” Patcha added. During the festival, a range of new products will be launched in Malaysia. These include innovative fruit snacks from J Fruit, famous Thai confectionery brand– HACKS, Japanese rice crackers - Doca, fried shrimp and crab chips - Manora,Pocky choco sticks, crispy fish snacks – ‘Madam Fish’, rice crisps – Tawan, roasted peanuts snacks – Otori, sweet tamarind from Tamarind House as well as snacks and beverages from international brands that are produced in Thailand such as Schweppes +C Lemon Flavour Soft Drink, Malee 100% juices, Birdy 3-in-1 coffee, Hales Blue Boy Syrup and many, many more. Malaysian consumers can also get special priced offers from existing brands ranging from confectioneries and beverages. Ribbon Cutting Ceremony, Left to Right Mr. Francis Teng Director-Hero Market, Ms. Nipa Nirannoot, Minister Counsellor, Royal Thai Embassy, Ms. Patcha Wutipan, Minister Counsellor for Commercial Affairs, Department of International Trade Promotion (DITP), Mr. Soh VLeong, Managing Director–HPG Marketing. “Thailand is one of our closestneighbors and Malaysians are constantly visiting the nation for business or pleasure, many buying Thai products during their travels. While we have a good range of Thai products on our shelves, as a partner of the ‘SabaiSabaiThai Festival 2018, we will be offer more to our customers who crave the variety of Thai products,” said Sharon Hew, Marketing Manager of HeroMarket. 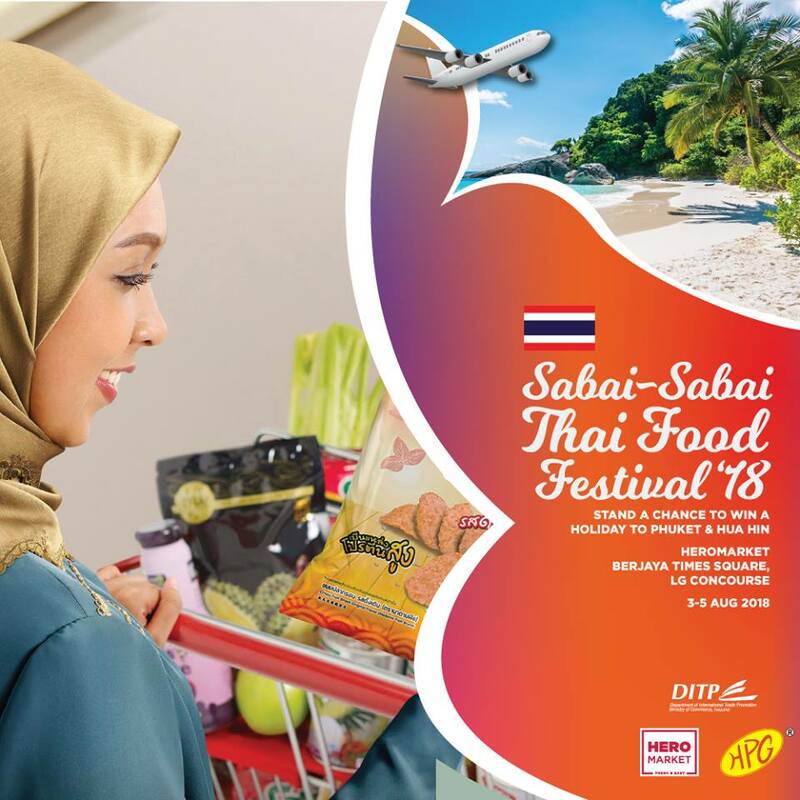 Apart from the in-store promotions, two major outlets will feature special activities in conjunction with the ‘Sabai Sabai Thai Food Festival 2018’. The opening ceremony will be held at Berjaya Times Square and will be officiated by Ms. Nipa Nirannoot, Ambassador of Thailand to Malaysia. From 3 – 5 August 2018, there will be Thai cultural performances and workshops that will showcase Thailand’s exquisite blend of culture and heritage. Separately, from 16 – 18 August 2018 consumers can visit Desa Tebrau Johor Bahru and enjoy more Thai cultural performances alongside a Thai food festival and international bazaar. Consumers who spend more RM30 at HeroMarketDesaTebrau will receive a free 15-minute Thai massage courtesy of Thai Odyssey. During the ‘Sabai Sabai Thai Food Festival 2018, for every RM5 purchase of Thai products at the Hero Market outlets from 3rd to 31st of August 2018, consumers are eligible to participate in a lucky draw to win exciting prizes. The first prize winner will receive two return flight tickets to Phuket with accommodation for a 4-Day-3 Night stay while the second prize winner stands a chance to win two return flight tickets to Hua Hin, with accommodation for a 3-Day-2 Night stay. The third prize winner will receive a hamper worth RM500, fourth prize: a hamper worth RM300 and fifth prize: a hamper worth RM200. For more information about the ‘SabaiSabai Thai Food Festival2018’, please visit https://www.facebook.com/myheromarket/ or https://www.facebook.com/thinkthailandmy. The Department of International Trade Promotion (DITP) is the Thai Ministry of Commerce’s foremost agency dedicated to the rapid and sustained expansion of international trade for both domestic achievement and global benefit. Over the last 40 years the DITP has facilitated countless multi-million-dollar trade deals, both governmental and private, to the satisfaction of international investors and entrepreneurs worldwide. And as a whole new dimension unfolds with the launch of the ASEAN Economic Community (AEC) in 2015, the DITP is ready to guide you in taking advantage of the almost unlimited possibilities presented by a free-trade system in a single market bloc of 600 million consumers. The DITP, with its vast and varied database of manufacturers, exporters and service providers in Thailand and overseas, is ready to respond directly and promptly to all requests from international entrepreneurs for any kind of product or service. Through the DITP, you will be matched with an ideal partner in order to form a business partnership that is both mutually beneficial and progressive. Hero Market is a private limited company specializing in the supermarket business. We currently operate 24 supermarkets in Klang Valley and Johor Bahru with a total workforce of more than 800 personnel. Hero Market was incorporated in 2005 and the people behind Hero Markethavean accumulative food retail experience of more than 75years. Our concept strongly emphasizes the fresh market department and everyday low prices. HPG Marketing started as a marketing office in 1998. Our manufacturing and packaging factory for varieties of quality nuts of Home Peanut Garden and has been representing a handful of big brands from Thailand.It began with small quantity orders and currently we are the sole distributors and brand owner of products produced in Thailand. HPG marketing strives to bring more of Thailand’s quality products into our demanding Malaysian market through a variety of business channels.